Tatum has been trying her hardest to keep her head above water. Life sometimes tries its hardest to drag you down beneath that surface, and then its just a matter of whos will is strongest. 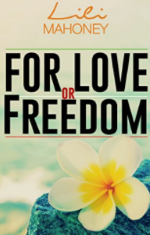 For Love Or Freedom is a story of heartbreak and hope, defeat and survival, and a mothers will. 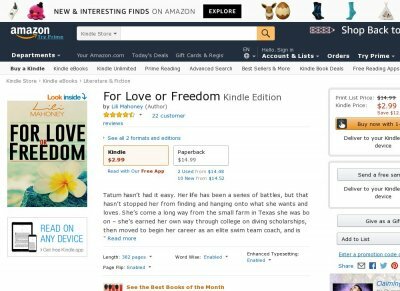 Tatum, --once completely lost--will discover that love can come around more than once. And sometimes, its even stronger than before. But shell have to learn to let go of the past. Accept that she cant control her heart. And trust in what others very plainly see.